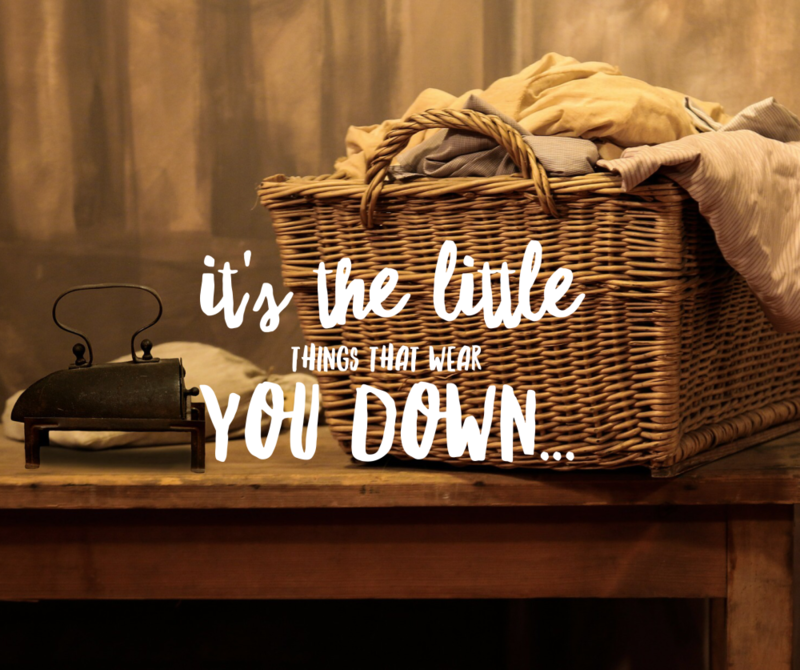 HAPPINESS HACK: It’s the little things… that wear you down! This is a snapshot of a list of things that I currently have on a mental to do list. they are all teeny tiny things which would take me on average 10-15 minutes at the most to sort. But I haven’t. So they pop up, like annoying little reminder boxes on computers, but in my head. Whilst I work, drive, write, cook, before I fall asleep. We all have big goals, big projects which can sometimes be hard, time consuming and challenging. But to my mind, there’s nothing so annoying as the little things we put off doing. It causes low level stress. We find ourselves distracted and then more annoyed with ourselves as that’s the 5th time this week we haven’t taken the opportunity to strike that little task off our list. It drains our energy, gives us an excuse to beat ourselves up or reinforce negative self belief ‘I am lazy/ disorganised/ undisciplined/ forgetful/ selfish etc etc – and let’s face it, few of us need much of an excuse! So why not make a new habit to clear ourselves of these little jobs as an when they come up? Don’t put them off, just do them! Make it a habit to spend 15 minutes a day getting through as much little stuff as possible. If you are forgetful, keep a list for things you can’t do right now, and make it your goal to delete them as soon as possible. Have a rule which says a task can only spend 48 hours on the list. When we relieve ourselves of these minor irritations, life is simpler, clearer, more focused. We get more done. We feel like we accomplish more and have more control over our time.